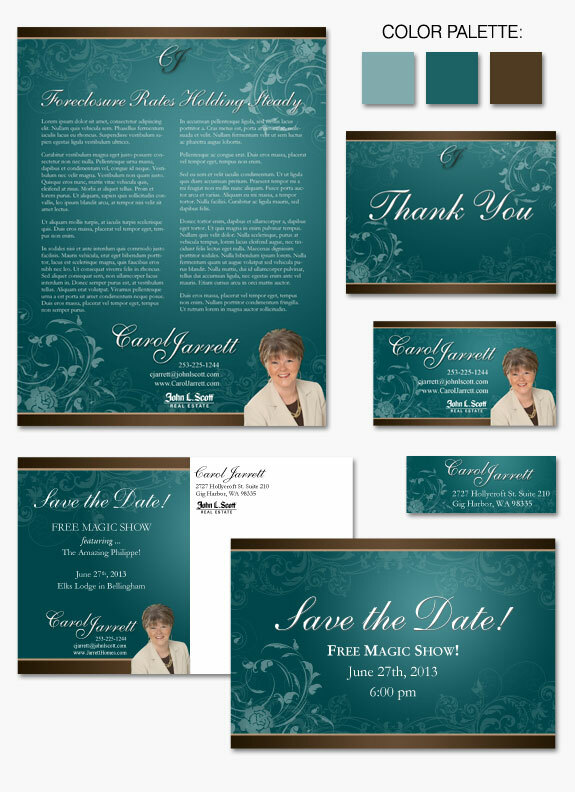 Carol Jarrett is a classic, elegant agent, focused on client care 100%. So when it came to developing a brand that was a good match for her and her clientele, she needed something that was timeless, but also had a unique flair (hence the color palette). Carol’s brand is memorable, highlights her attention to detail, and anyone looking at it knows by Carol’s great smile that she is going to take amazing care of her clients.